Happy Spring! 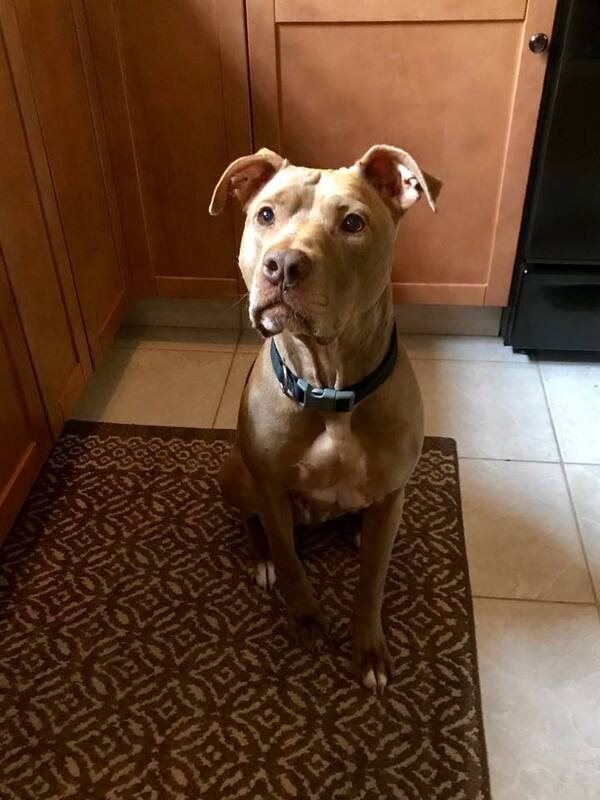 I’m Reya, a 60-lb pittie in search of a forever home. The nice vet person thinks I’m about 6 years old. 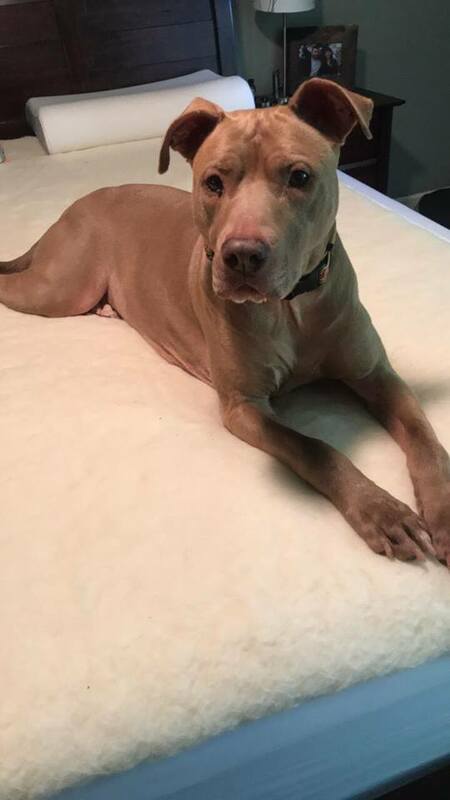 I was kept chained in a yard for several years until animal control rescued me and Merit Pit Bull Foundation took me into foster care. I’m spayed, current on vaccinations, and taking heartworm preventative. 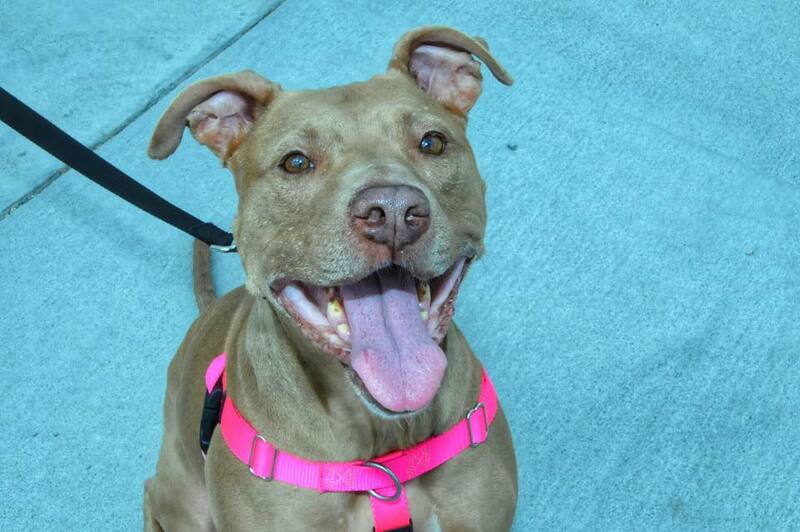 I’m also super sweet, loving, funny, and, according to my foster family, one of the smartest dogs you’ll ever meet! My foster mom named me Reya because it means 'queen' or 'graceful.' Truth is, I'm more of a jester and kinda clumsy, but it's all good! I love everybody I meet, including kids. I almost never jump up on anyone (unless you give me the “up” command). You can see from my videos that I’m really silly and love to play! I settle down really easily, too! I really love to play with my foster dog siblings and the cat of the house. Mom posted videos of me being my normal silly self. She says I’m a great weirdo… I’ll take it as a compliment! I’m house-trained, well-behaved in the car, and have excellent mealtime and bedtime manners. I’m treat-motivated, so I enjoy learning and already know sit, lie down, wait, back up, shake, and up. I don’t mind being crated, but I’m a perfect lady when I have free roam of the house with my dog friends and the cat while my people are away... I don’t chew on anything but my toys and am so happy to see the family when they get home! My FAVORITE thing to do is snuggle on the couch with my head in your lap and a fuzzy blanket to cuddle in, but I also love playtime in the yard… and I can even throw the ball for myself! Foster mom thinks I’d be a great agility dog if you’re game. (Get it?? 😊) I’m learning my leash manners, but I just get so excited about all the new things to see in the world… plus foster family hasn’t had much time to walk with me. I can be a little clingy, but that’s only because I love people so much!